Looking for Orleans Dentist? At Morningstar dental, each patient is considered as a family member. We deliver our services with care, kindness and respect. We deliver comprehensive oral care to patients of all ages and implement the latest technologies in the dental field. Whether it is an emergency situation, a regular hygiene visit, or general dentistry needs, we will go above and beyond to give you the finest quality dental care possible. Dr. Rashid believes in the power of knowledge. She is on a mission to spread awareness about the impact of optimal oral heath on quality of life. Dr. Rashid is known for her kind and caring personality. She values the relationship with her patients and she enjoys getting to know them and build a friendly relationship based on trust and respect. She was born in France where she spent her early childhood years. Dr. Rashid earned her Bachelor of Dental Surgery Degree (BDS) from Faculty of Dentistry at University of Jordan. The comprehensive dental program allowed her to get exposed to a wide range of dental procedures. Dr. Rashid moved to Canada and she pursued her dental education at McGill university in Montreal, Quebec. 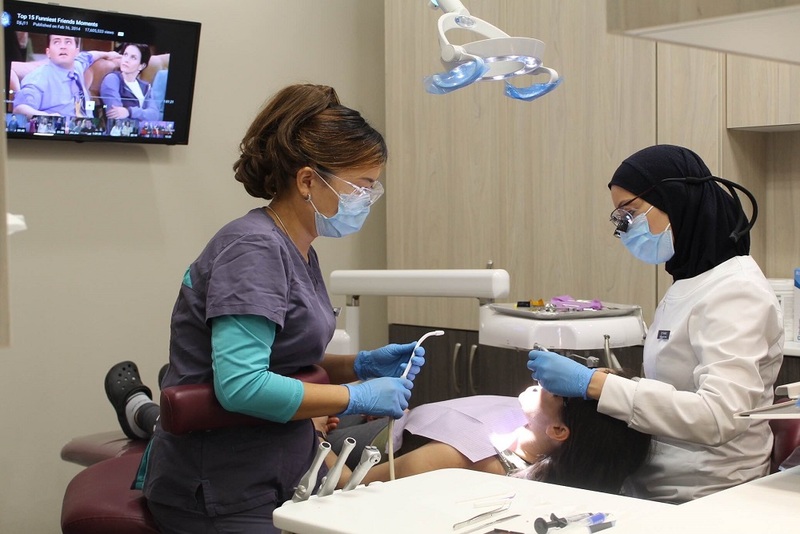 The intensive program gave her great experiences in different clinical settings, and she earned a Doctorate in Dental Medicine (DMD) from Faculty of Dentistry at McGill University. Over the years, Dr. Rashid gained experience in multiple dental departments.She is interested in preventative dentistry, cosmetic procedures and orthodontic treatment. She loves working with children and go above and beyond to ensure their dental experience ends with a smile. She regularly attends educational courses, dental seminars and conventions to continue her practice of dentistry at its best and to keep up to date with the latest technologies in the field. Dr. Rashid is a Member of Royal College of Dental Surgeons of Ontario (RCDSO), Canadian Dental Association (CDA), Ontario Dental Association (ODA), Ottawa Dental Society (ODS) and Dental Emergency Service (DES). Dr. Al-Attar strives to put his dental experience and education in everyday practice to provide his patients with the best dental care possible. His friendly and understanding nature allows him to put his patient at ease and deliver dental treatments in a relaxed atmosphere. Born and lived his early childhood in Guelph, Ontario and he has been into different cities and countries. 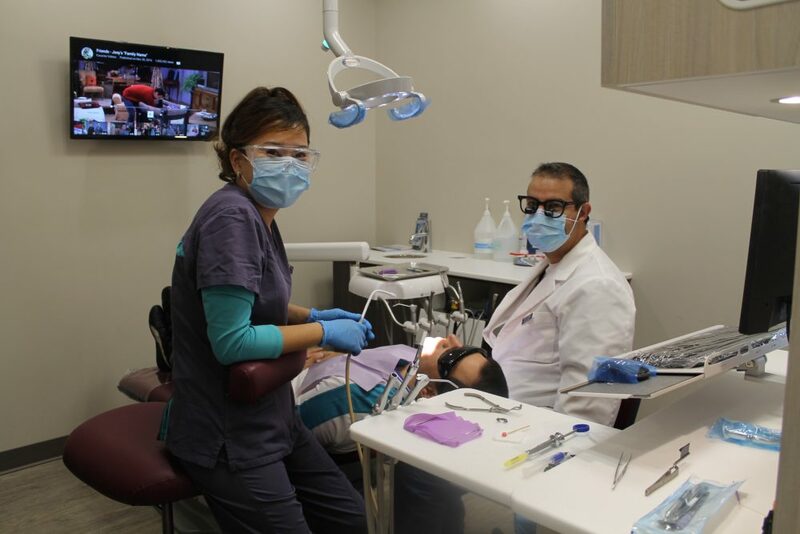 Dr. Al-Attar earned his Bachelor of Dental Surgery, BDS from University of Baghdad in 1999, working at the main university hospital as a clinical supervisor for dental students and as a clinician to serve those in need. He earned a Doctorate of Dental Surgery Degree, DDS, from the faculty of Dentistry at University of Toronto. The robust comprehensive training program provided him with education and skills to serve his patients with the highest standard of care. He visited Ottawa and fell in love with its nature, and he has been serving Ottawa area since 2008. He earned a great experience in managing difficult and complicated cases in different variety of dental fields like root canal treatment and re - treatment, wisdom teeth extractions and others. To keep up to date with advancement in dentistry, Dr. Al-Attar keeps attending numerous dental courses and programs like Misch Dental Implant Program. Dr. Al - Attar is a Member of Royal College of Dental Surgeons of Ontario (RCDSO), Canadian Dental Association (CDA), Ontario Dental Association (ODA), Ottawa Dental Society (ODS) and Dental Emergency Service (DES). "Dr. Rashid and her assistant are super nice! Very professional and clean. Very patient and kid friendly! Thank you!" "Family owned and operated and it is evident by their excellent client services and care in the work they provide. Much recommended!" 1Why should I go to the dentist regularly? People often shy away from dental visits unless they experience tooth aches. However, what people don't realize is by visiting your dentist regularly, these unfortunate experiences can easily be prevented. You can eliminate emergency situations and instead practice 'preventive treatment' to ensure that you have great oral health. Regular attendance can also increase your oral health awareness and provide you with tips and tricks on how to care for your teeth and gums so you don't experience pain! 2How can I prevent cavities? It may seem obvious but the easiest way to prevent cavities is by properly cleaning your teeth! The most common yet effective way is through regular and routine brushing. Ideally, it is best to brush your teeth after every meal. If that's not possible, you can at least rinse your mouth with water to wash away food leftovers as they are often the main source of bacteria in your mouth. The best technique to brushing is neither to press hard nor lightly as both can lead to either damage to your gums or ineffective brushing. Instead, the right balance of pressure can remove bacteria while without disturbing your gums. The practice of brushing your teeth normally spans about 2 to 3 minutes in order to effectively remove tooth enamel and bacteria. Another way to maintain healthy teeth is by watching what you eat! It's certain types of foods that encourage and contribute to bacteria growth more so than others. And it's no myth that sugar makes it to the top of the list! Sweets like candy, cakes and even fruits contain large amounts of sugar. You may want to think about how much sugary goodness you consume on a regular basis. But it's not just sugar, sticky foods like peanut butter and jam also contribute to bacterial growth. Those suckers stick in between your teeth and make it hard to clean them out without floss! If sticky treats are not removed, they become a constant source of bacterial growth. Just thinking about what you're eating and practicing good oral hygiene by brushing and flossing often can satisfy your sweet tooth and help maintain your genuine smile! 3When should I change my toothbrush? It really depends on your type of tooth brush; however, the general recommendation is 3 months regardless of age. If you are an electronic tooth brush user, it can have a longer life time before needing replacement. A tip we'd like to share with you is to rinse your tooth brush with hot water immediately after using. This practice would kill the bacteria left on your toothbrush and prevent it from spreading. You'll also have a bacteria-free toothbrush for when you're brushing your teeth next! 4Why should I use floss? Flossing may just arguably be more valuable than brushing! But don't just choose one over the other - practice both! Brushing and flossing both serve different needs for your oral health. There are millions of microscopic creatures living on and in between your teeth feeding on food residue from your previous meal(s). It's quite a disturbing thought. The bacteria forms on plaque and rapidly multiplies. While brushing your teeth removes bacteria on the surface of your teeth, flossing serves the inner spaces between your teeth. So as you can see...You can't just do one and expect to have healthy teeth, you need to practice both! Don’t let plaque stay between your teeth. More importantly, don’t wait for it to become tartar as this may lead to a more serious case. 5Why do my teeth have a yellow-ish tint? There are a lot of factors we might not notice we are doing that in fact contribute to the darkening yellow-ish tint on our teeth. The most common contributors to darker teeth are smoking and hot beverages like coffee. The temperate change to your teeth is considered hazardous as it causes them to expand and contract which allows strains to penetrate your teeth. Additionally, acidic foods can open the pores of your tooth enamel and allow stains to move freely on your teeth. Having said this, try to be mindful of your hot beverages and acidic foods consumption! try to practice a balanced diet that does not include extreme consumption or a sudden and complete withdrawal of consumption. Teeth whitening treatment has been around for quite some time and is a trending way of maintaining a good-looking smile. The process usually involves the use of peroxide which is a compound containing two oxygen atoms that are bond together. The use of peroxide can be a very effective whitening substance if used directly on teeth. With the best product and an experienced dentist who is an expert in the field, teeth whitening is very safe, effective and a reliable treatment for having perfect pearly whites.